The documentary will show why the paleo experts and entrepreneurs continue to advocate defying conventional health wisdom in favour of following the Paleo lifestyle for optimal health. Today I have been lucky enough have a chat with Caroleen Moise Reimann, Director and Executive Producer about the development of the project and how the paleo community can be involved! 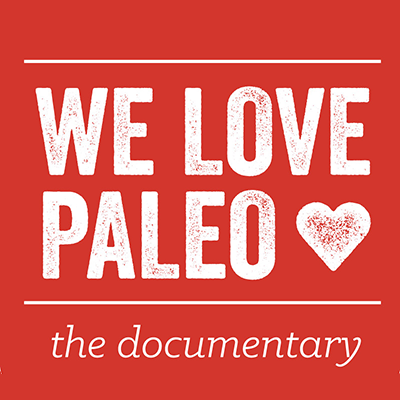 What’s so special about your feature documentary, We Love Paleo? Our film project is the world’s first crowd-funded documentary on Paleo. There was only one other feature documentary that implicitly advocated for Paleo which was The Perfect Human Diet. Here, in our film, instead of shying away from the term ‘Paleo’ (which is sometimes albeit disenfranchising) we show our colours right away. Why are you making this film? We want to spread throughout the world, what we think is a worthwhile message: the existence of the Paleo lifestyle. So many people need to know about it still. As a matter a fact we even have plans to translate the film in FRENCH, SPANISH and GERMAN and that’s reflected on our campaign page at the bottom under ‘Stretch Goals’. We want people to be informed about this healthy alternatives to the Standard American Diet. So building awareness through the medium of film is our first big motive. Our second motive is that, just like you Polly, I have heard SO MANY falsehood about this lifestyle. It’s crazy! Every Paleo person out there can remember a conversation where the whole concept of Paleo living had been completely misinterpreted and practically made up. My most recent conversation about this was with someone who clearly had no idea of the Paleo main tenants and thought we ate 75% meat! What complete nonsense. The debunking aspect of it is therefore also a strong driver. We don’t claim to be able to eradicate all misconceptions but we can help this process with a documentary for sure. And the last reason is to inspire people you know… Hopefully some people will use this as an introduction and be inspired to seek the truth for themselves and try it out! So impress me! Who’s going to be in it? We’ve really teamed up with people who will, in our eyes, contribute a great deal to the film! Amongst them there’s Dr. Cordain (US), Dr. Briffa (UK) but also some big names in the food, nutrition and fitness community around the world such as our the passionate guys at The Naked Ape, Darryl Edwards (UK) from the Fitness Explorer, Michelle Norris from Paleo F(x)™, Irena Macri from Eat DrinkPaleo (Australia) and several more! The complete list of participants can be found here. So the project is in funding stage at the moment. If we support the project, what are some of the perks? Health/fitness consultations with the panel of participants and much more! So that all sounds really exciting, now how can the Paleo community help? People can go to this page and click on ‘Contribute Now’ to donate whatever they feel comfortable donating right now. We truly believe that only the Paleo community as a whole can and will make this happen! A big thanks in advance to every single person who helps us get the world’s first crowd-funded documentary on Paleo made!